Heat over to 350 degrees F. In a large bowl, stir dry cake mix, oil, eggs and vanilla, using spoon, until dough forms. Shape dough into 1 inch balls. On an ungreased cookie sheet, place balls about 2 inches apart. Bake 10 to 12 minutes or until set. Cool 1 minute; remove from cookie sheet to cooling rack. Cool completely, about 30 minutues. While cookies are baking make some buttercream frosting. The buttercream frosting recipe I made doesn't really have exact measurements... I just go by the texture or stiffness to determine if its done. In a stand mixer, cream butter; Add peppermint extract. Alternate adding a splash of half & half and a cup of powdered sugar. The consistency to achieve for decorating cakes is a "stiff" frosting. If you can invert your batter bowl with a spatula or spoon suspended in the frosting without it falling out, you've hit the stiff consistency. 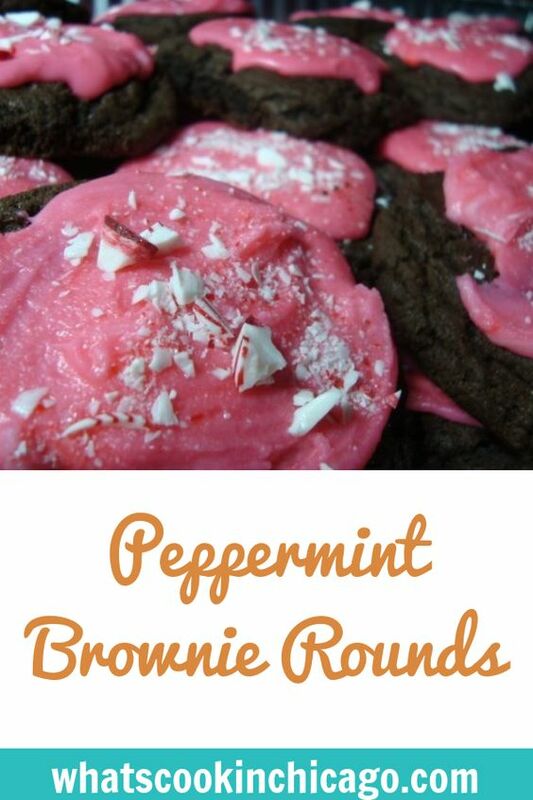 Frost the cooled cookies with the peppermint buttercream frosting and sprinkle with crushed peppermint candies.